I’ve done it! I’ve finally completed the British Association of Snowsport Instructors level 4 International Ski Teacher Diploma. I still can’t quite believe I’ve finally done it. Here’s my story as an example for any instructors going through the system and for friends and family back in the UK who might not have always grasped what I was doing. In Morzine. I learnt to ski in the garden of the nursery. In 2004, as soon as I turned 16, I enrolled to do the level 1 in Morzine; my journey on the BASI treadmill of exams had begun. Two years later, after A levels and in my first year of studying French and Spanish at Newcastle University, I completed the level 2 in Les Gets/Morzine. 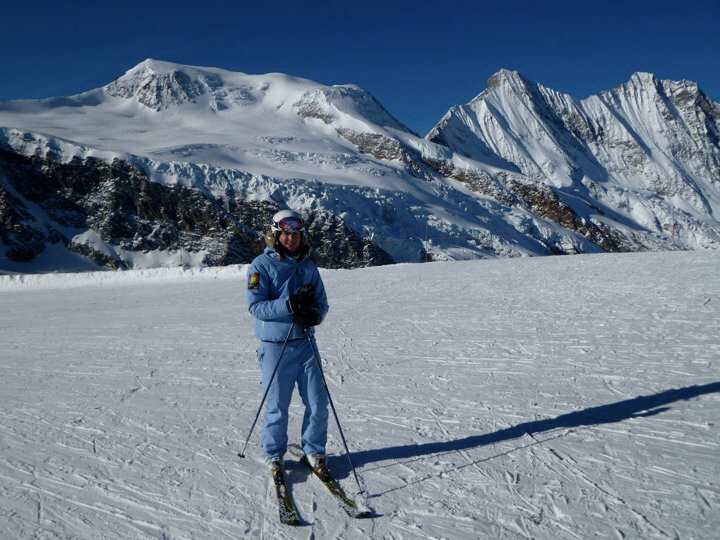 I spent my remaining 3 years of university completing exams when it was possible and during my year abroad combined Spanish practice with ski teaching practice in the Pyrenees and in Argentina. Once I graduated my focus became solely on finishing the level 3 and 4. Taken on my 19th birthday when I passed my BASI level 2. Autumn 2010 saw me get the level 3 technical (when it was still a 2 week exam) and the teaching exam. Either side of those, I did a weeks Eurotest training with Snoworks in Tignes. 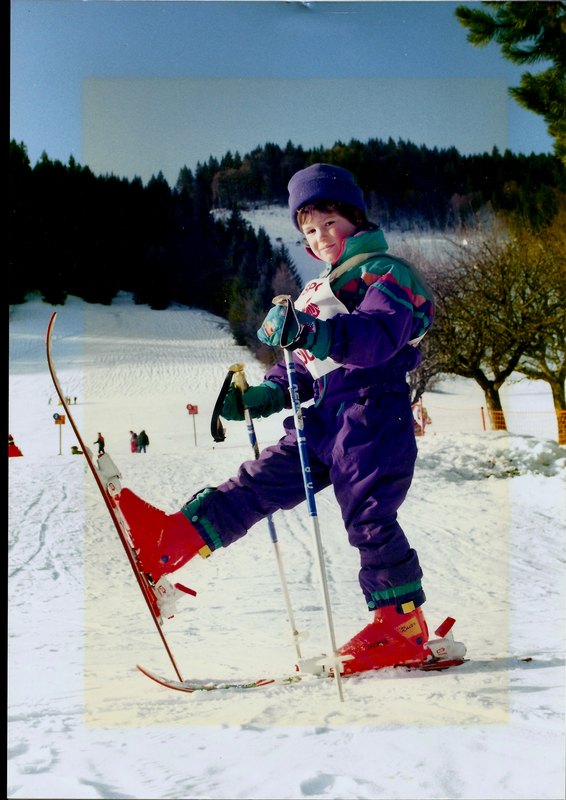 Having grown up on skis, although clearly not as good as maybe I should have been for a ski brat, I had experience of racing especially whilst attending the local school. My brother and I joined the ‘Groupe Compétitive’ at Christmas/New year for a couple of years, too. After I did my level 1, my dad gave me the most valuable piece of advice: “if you’re going to go through to level 4; get racing now”. With this in mind, I started doing a couple of Flêches on Mont Chèry, aiming for Gold each time. I also raced for my school at the British School Girl event in Flaine and was proud to come 1st GS, 2nd Slalom and 1st Combined for the non-registered category and help the school come 2nd overall. I couldn’t have been that bad! At Newcastle University, I joined NUSSC (Newcastle University Ski and Snowboard Club) and started training and racing on the dry slope. On route to the first training session in Sunderland the guys asked what ski experience we had. I was honest with my response and it gave the impression I knew what I was doing. The embarrassment was evident when I struggled down Dendix material, landing on both hips that resulted in bruises to the bone. Classy. However, I believe training and competing with NUSSC helped me immensely, not only in being technically accurate on this ridiculous material, but it also ignited a competitive nature in doing something I really enjoy. I was also lucky enough to be surrounded by some of the best dry ski slope skiers in the country. Whilst at university, I had two attempts at the Test Technique (slalom race). This would have allowed me to work and train in France as a stagière for a few years. I did some on snow slalom training with the ski club coach at the ESF. However, having issues exiting a hairpin turn on a fully set course cost me 1st place at the British School Girls event, being disqualified at an event at BUSC (British University Snowsports Council) and failing these runs at the Test Technique – a little bit special. 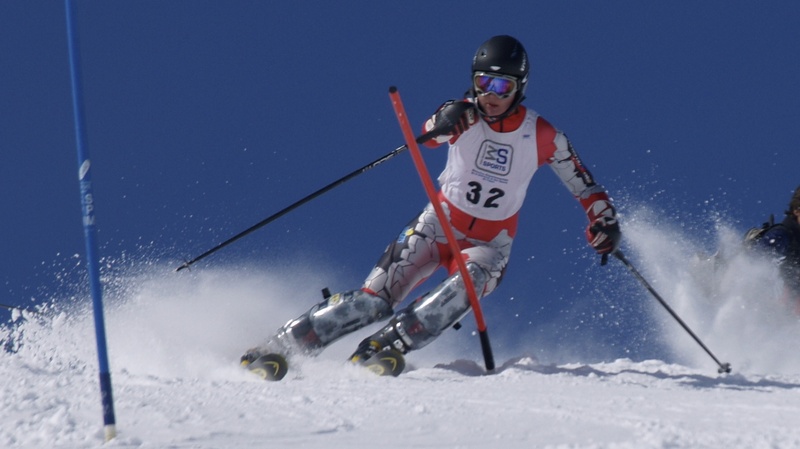 The Eurotest (a giant slalom race where females must ski within 24% of the opener and men, 18%. The openers are calibrated against world cup skiers. ), took me 3 attempts. The first two attempts were in Alpe d’Huez and the final one in Sestola in Italy. The first was in my final year at university and my first time on proper GS skis. I really went to support my brother and to simply see where I stood. I surprised myself, and my brother, in only being a second off. The second attempt was after I passed the level 3 teach and tech exams. I stuck my pole between my legs on the 3rd or 4th gate, completely forgot about it, missed by 0.17s and only after excessive ranting had to be reminded of the mistake I had committed. It more than likely cost me success. Passing in Sestola resulted in the most awkward drive back to Saas-Fee, where I was working at the time, as my driving companion missed by 0.04s but I will never forget the relief and thrill of passing. The Eurotest is considered as the most challenging module to pass. However with hindsight, this wasn’t to be my biggest challenge. 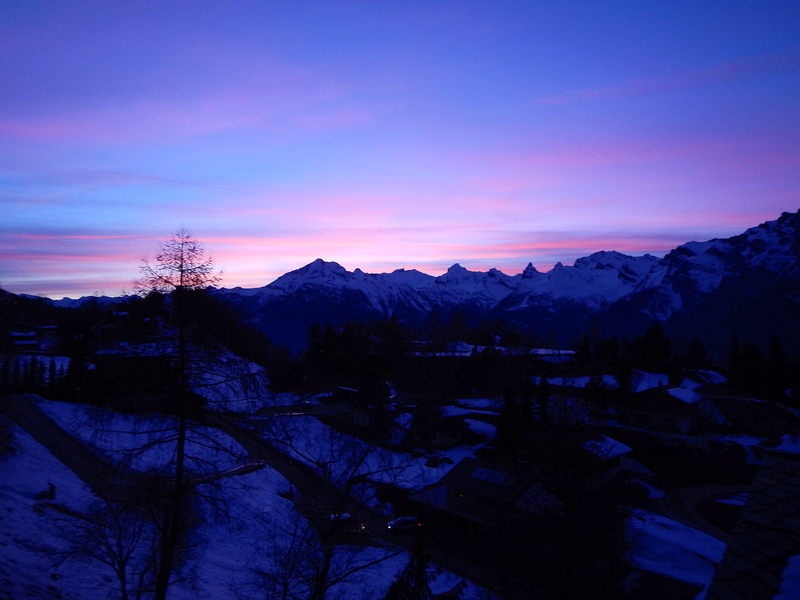 Spring 2011 I finished the ISIA (International Ski Instructors Association) with the Alpine Development Coach 2. 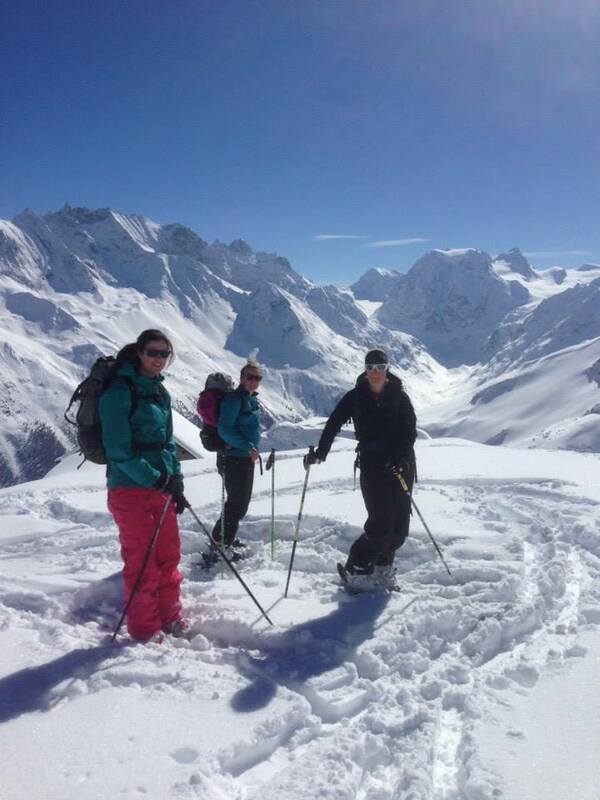 At the start of my second of three seasons in Sass Fee, Switzerland, an avalanche took out my friend and flatmate whilst she was teaching on piste. Very sadly her client, an 8 year old child, didn’t survive. All at once an environment I had always been comfortable in suddenly showed me its dangerous side, and all too harshly. I supported my friend as best I could, but now I know the whole incident had affected me psychologically. Working for Eskimos in Saas-Fee. I benefited a lot from the compulsory ski school training we had and it was great to experience some of the Swiss Snowsports formation. I did the EMS (European Mountain Safety) training that January (2012) with the exam in March and failed, due to a lack of knowledge and confidence in leading a group off piste. 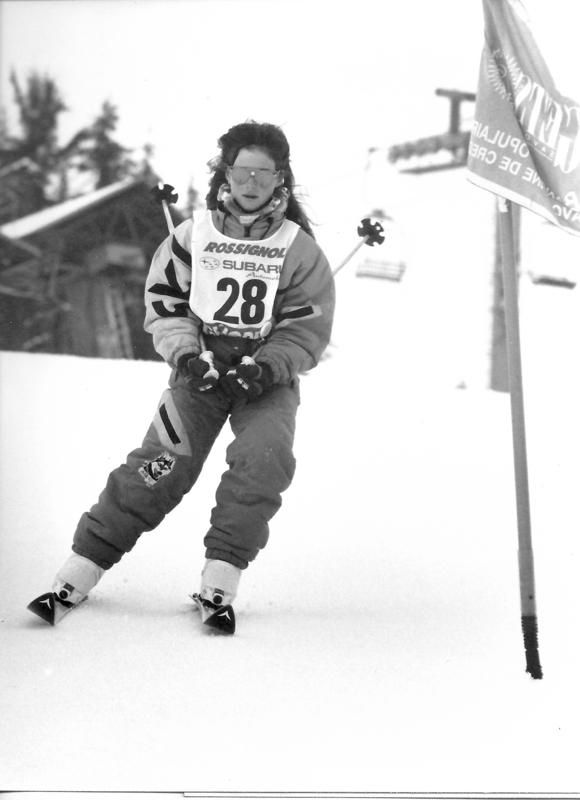 I then attempted the technical and teaching exam in Hintertux in the spring and failed both, too. I got acute tonsillitis twice during the winter and just when I thought I could forget skiing for a while and enjoy a summer, I went and broke my foot as I was commiserating. NB: wear ski boots when doing après-ski. My confidence was shattered, I was tired, run down and had had enough. The following winter having signed up to do the level 4 technical exam in March in Verbier, I fell over in January and sub-dislocated my hypermobile shoulder. I missed out on the level again. My shoulder was finally repaired in an operation over the summer. The time had come to rest, recover and get myself fixed; mentally and physically. I believe when you start spiralling downwards, it is easier for things to go wrong and appear worse than they are. It takes time and strength to fix this illusion of a domino effect of bad luck and turn it around. Skiing is a sport. It’s not just about skiing from a coffee stop, to lunch, to the bar and home. Not all the time anyway! 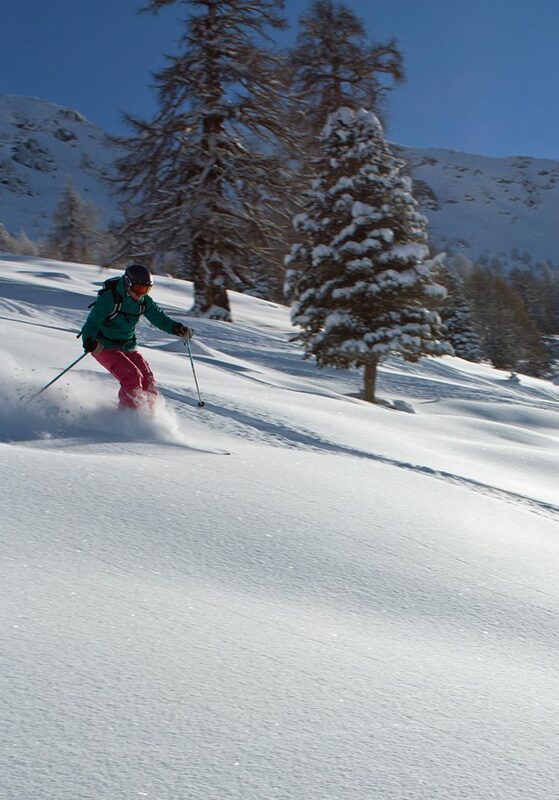 To ski to your best ability, it is paramount to be strong, fit, flexible and coordinated. Keeping fit and in shape is important and through injury and failure, it has highlighted this fact to me even more. Skiing some powder in Nendaz, my winter home for the past 2 seasons. I went for the day re-assessment for the EMS in March in Chamonix and failed. I had put a lot of time and effort into this re-assessment but unfortunately I made an error that cost me a pass. It was a real kick in the teeth and the frustration I felt at myself, more than anything, was hard to supress. I had felt so much more confident and was really beginning to enjoy touring. With a refreshed confidence regarding my ski performance after passing the level 4 technical exam, I felt prepared to re-attempt the level 4 teaching exam in Hintertux in May. My group consisted of mainly ex-racers, which gave me the jitters, but I managed to pull myself together and pass. This season I was given the opportunity to train 4 people to the level 2 standard. I was thrilled to see the improvements they made over the course of the season and to receive comments from other instructors about how well they were changing. They all passed. This was a fantastic experience, I learnt a lot, and it has given me further confidence in my teaching abilities. Finally, Friday 27th March 2015, I tackled the EMS re-assessment again and passed. I still find going off piste challenges my nerves, but with time I am sure I’ll gain more confidence whilst always staying cautious. I feel I have conquered my nemesis; the EMS turned out to be my greatest hurdle. I am not sure it has completely sunk in yet that I even passed the EMS, let alone completing the ISTD. The exams can be completed in a few years from levels 1 to 4, especially if you do back to back seasons, you have funding, or you are very talented, confident, have skied a lot and can afford a lot training. However, the vast majority of candidates have set backs, injury (far, far, worse than me and who still manage to complete the exams affecting them both psychologically and physically) and do seasons teaching alongside training. However, it is nearly always possible to get there. It might just take longer than you ever thought, but that’s no bad thing. Skiing really is awesome and it is a real priviledge to be able to turn my passion in to a career. It’s easy to get completely sucked in and forget the reasons why you started in the first place. A friend told me you can see someone’s character in their skiing. 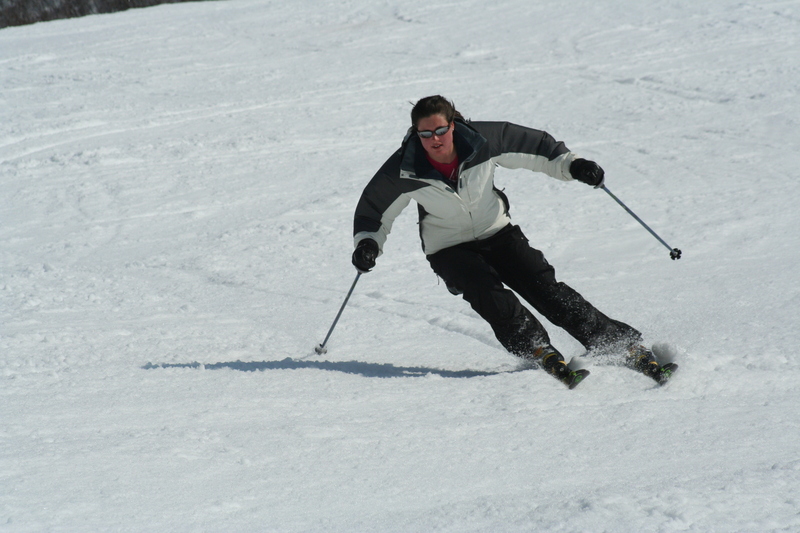 However, he said I was an exception to the rule and that I appeared to have a character transplant once I was on skis. I have become very precise and focused with my skiing. Now I have the freedom of not having to pass exams, I can still improve, but play and experiment and enjoy skiing for what it is, not just for the qualifications. The stunning scenery is a constant reminder of how lucky I am to be where I am and doing what I love. I cannot write this without acknowledging my parents (I know it’s just a ski exam and not an Oscar) for their support financially and endless continuing patience, emotional support, advice and guidance. To friends, my boyfriend, as well as my parents, my brother and family: thank you for picking up the pieces when it went wrong, and for always having faith in my capabilities. ← Time is precious. Waste it wisely. It was a pleasure – not always, I grant you – but I am so proud, and delighted that you finally got there. What an incredible journey you have been on. Really interesting read. Huge congratulations. Thank you Anna! I actually passed and posted this a while ago, but was going through my blog and editing where posts were located and obviously when I pressed ‘update’ it shared it on Facebook again!! Still, it’s nice new people have read it. Maybe I’ll start re-posting some of my others! Hope to go for a ski with you this winter!